My Brother bought me a Moms Mabley album entitled Moms Mabley breaks it up and the cover was a picture of her on a bulldozer smashing into bldng!! I think it was a bldng anyone remember? 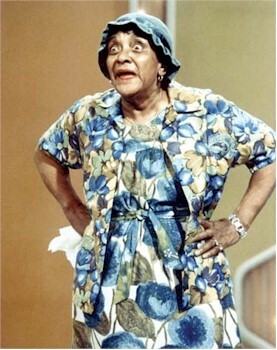 She was the Satchel Paige of comedy, came along a little to soon to get the mainstream success she deserved. Thanks to the Smothers Brothers, she at least had a small chance to reach a wider audience than the "chitlin' circuit."